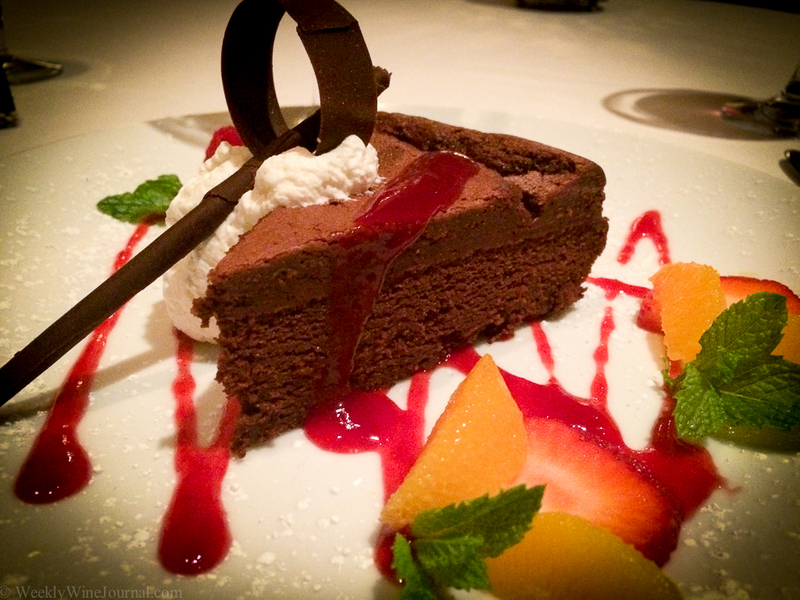 I was recently invited to experience the Scottsdale Resort & Conference Center’s Palm Court Restaurant in light of their recent inclusion on the Wine Spectator list. In addition to receiving the basic award for having a good wine list Palm Court was noted for having a relatively inexpensive pricing structure. I was interested to see this first hand as one of my pet peeves (besides cheap stemware at a nice restaurant) is paying excessive wine markup at a nice restaurant. The first thing you’ll notice about Palm Court, is that it can be a little bit tricky to find. 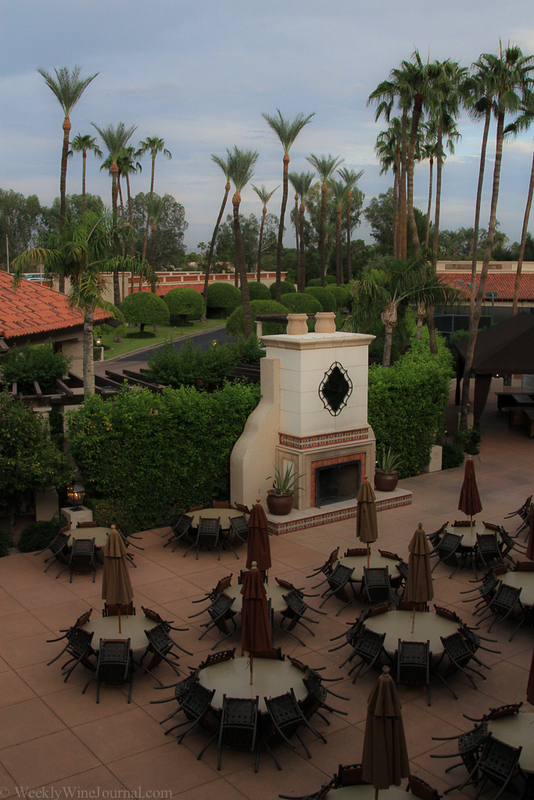 It’s located on the 3rd floor of the Scottsdale Resort and Conference Center, which is itself easy to miss. After turning down a small unassuming side street in central Scottsdale, suddenly there it is. This majestic little gem with the circular drive way, with valet service, a big ornamental fountain and palm trees with white Christmas lights. I wandered around the property for a few minutes before heading to the restaurant. It felt a little like a time machine taking me back to the late ’70’s early ’80’s when I used to visit my grandparents at McCormick Ranch. There’s quite a few interesting architectural features to explore, I recommend spending a few minutes doing that before heading up to the restaurant. 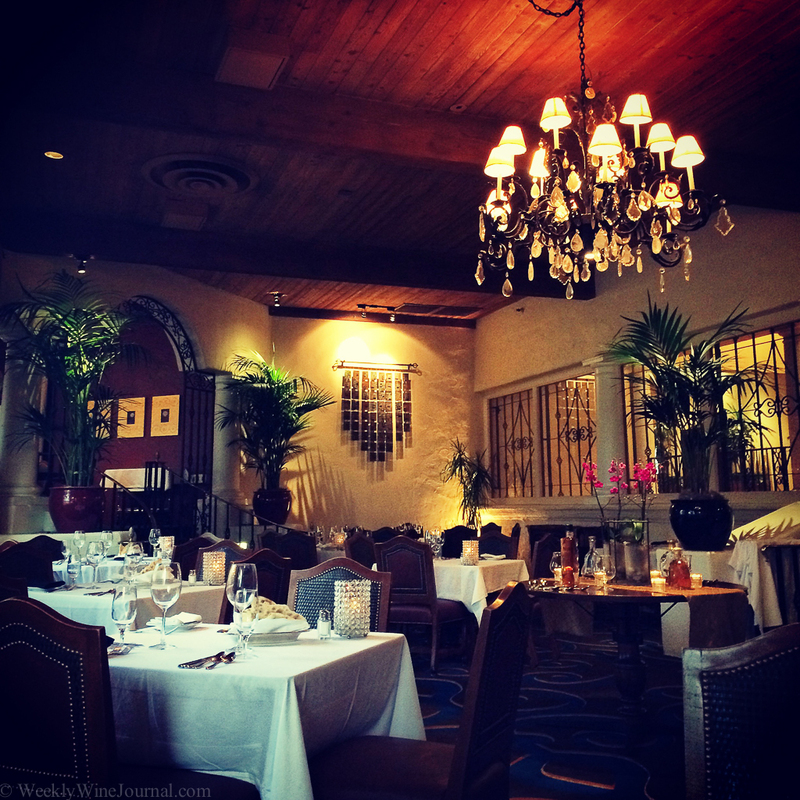 The restaurant has a nice traditional feel to it, and open and airy atmosphere with nice big windows that allow diners to look out over the golf course and catch a sunset. “We have that, by the glass” he smiled. 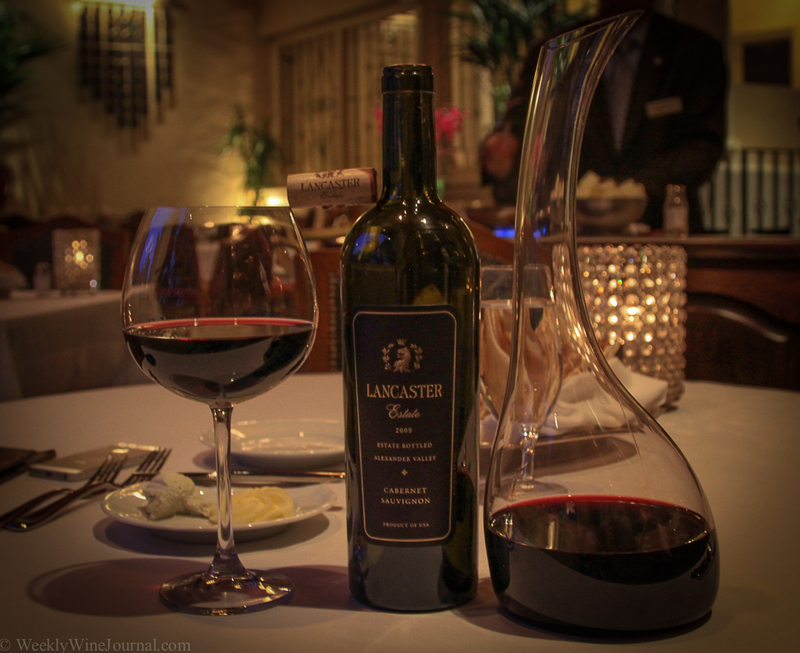 I quickly looked up Lancaster on my phone and if you can get it, the ’09 cab will run you at least $75 a bottle. Palm Court price…$110. This is why they received that award from Wine Spectator. One of my pet peeves is paying excessive markup for wine in a fancy restaurant. It utterly ruins the evening for me. I always feel like I could have just stayed home grilled up a prime steak from Costco and spent the savings on some killer wine. For dinner I chose the lamb, which was done quite well. Not too gamey. Although I don’t mind gamey lamb either. One thing to note about the menu: You’re not going to find the more chef driven style of food here. 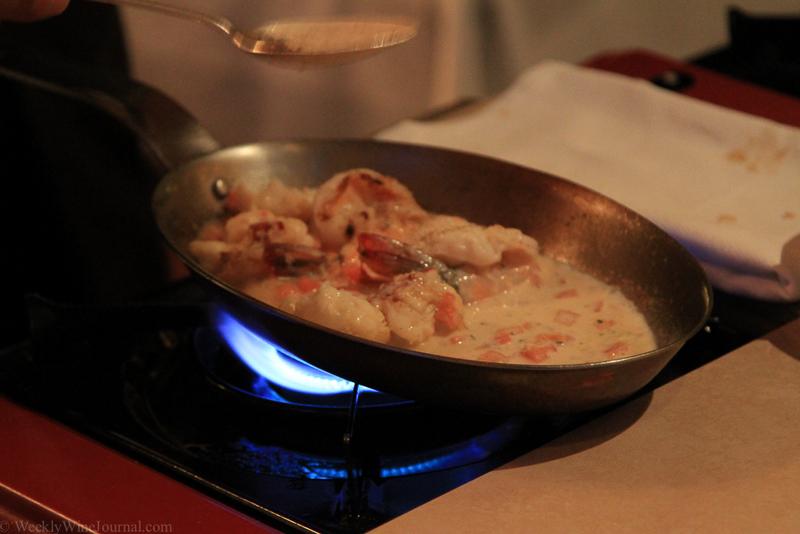 You’re going to find more of the French style of cuisine. The beef tenderloin is carved in half and drizzled with a red wine and béarnaise sauce. The potatoes are mashed with Gouda. You’re going to find a more traditional menu. Appetizers run in the $12-$15 range and main courses are in the $25-$40 range, which is quite reasonable for an establishment with AAA’s four diamond award. 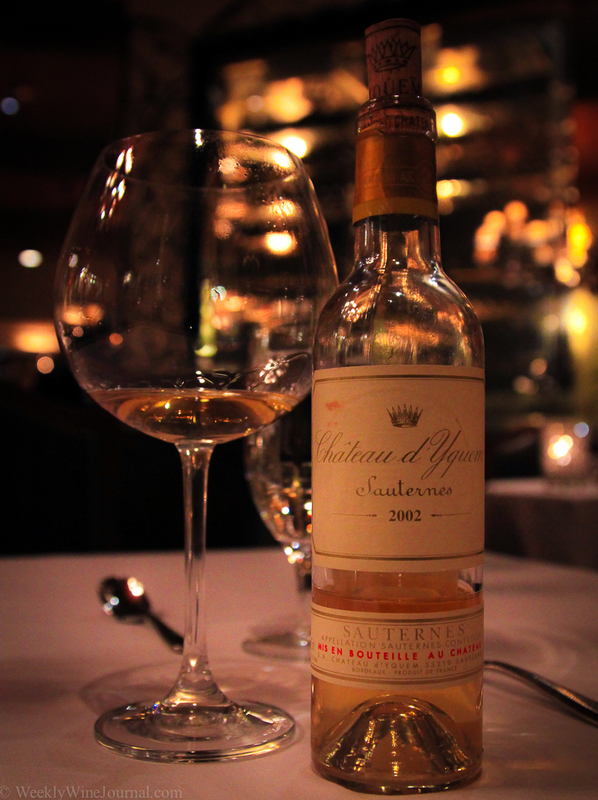 After dinner I indulged in a glass of d’Yquem and I wasn’t disappointed. There’s a reason why Chateau d’Yqeum is nicknamed “Nectar of the Gods”, and Palm Court is the only place that I know of in the Phoenix area where you can find out why without having to buy a whole bottle. Good for them. They deserve it. I just love their wine and their food.